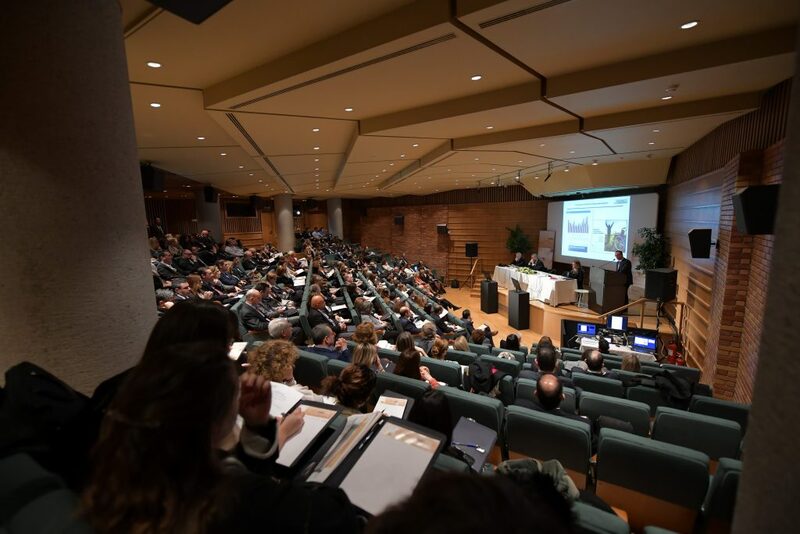 Athens, 13 March 2018 – On Thursday, 8 March 2018, the Hellenic Association of Pharmaceutical Companies (SFEE), committed to responding to its members’ constant demand for authoritative information, successfully held its third Pharmaceutical Law and Ethics Conference, which brought together more than 270 participants. 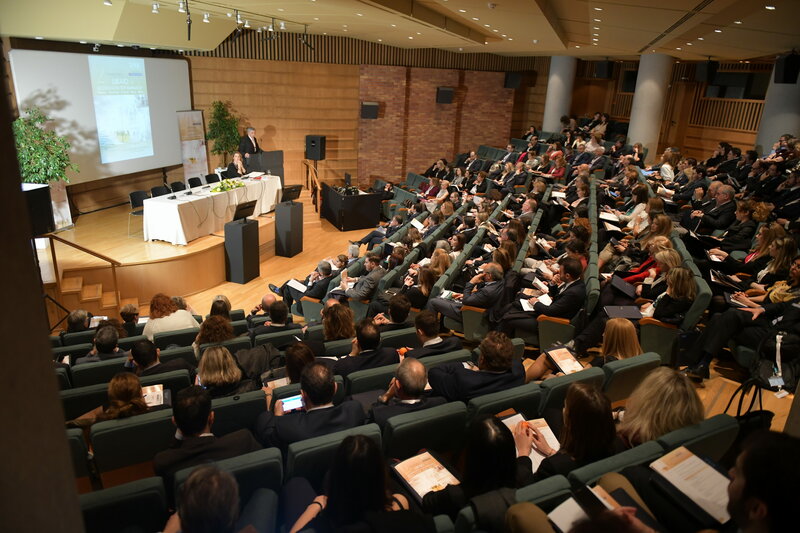 The event, hosted at the Auditorium of the Goulandris Museum of Natural History, addressed current legal, regulatory, tax- and growth-related and ethical issues of concern to the pharmaceutical industry at a European level, including issues of relevance in the domestic context and of high importance for the Association’s member companies. 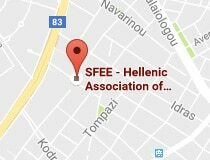 In his welcoming address, SFEE President Mr. Pascal Apostolides took the opportunity, in connection with recent developments involving the pharmaceutical industry, to express SFEE’s unanimous condemnation of any illegal act and confidence in Greek Justice and its ability to resolve the allegations as soon as possible. And he went on to note: “In spite of the persecution that it has suffered all these years, the industry, with a sense of responsibility, has stood in solidarity with the Greek society, meeting its increasing needs, substituting for the social policy of the State and covering a substantial part of public pharmaceutical expenditure. In closing, Mr. Apostolides reminded that “The pharmaceutical industry has long been supporting and promoting a framework of lawfulness, transparency and full disclosure, aiming at ensuring fair and unhindered access of Greek patients to medicines and support for Greek scientists and medical science. 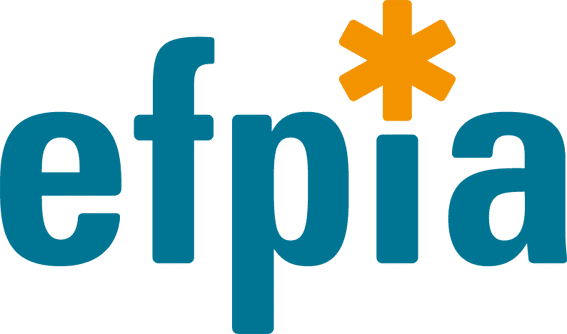 The Director General of SFEE, Mr. Mihalis Himonas, recalled that “The interactions between the industry and healthcare professionals are strictly regulated, and all events, conferences, etc. are approved by EOF, while SFEE also imposes strict regulations”, adding that SFEE will always be close to its members and will implement information initiatives. SFEE’s Legal Advisor, Ms Dimitra Lembesi, provided an overview of the numerous reforms in the sector has undergone in the past seven and a half years, and also outlined the future challenges, mainly relating to process centralization trends in European, through European regulation. Ms. Kristine Peers, General Counsel, EFPIA, provided an extensive discussion of EU Pharmaceutical IP Incentives, taking the floor after SFEE Vice-President Mr. Stavros Theodorakis, who focused on the efforts to develop new medicines and bring them to the market. Mr. Angelos Binis, OECD analyst, highlighted the importance of integrity and the fight against corruption for growth and fair business practices, pointing out that a lot of money is squandered in the area of public healthcare due to not only corruption but also mismanagement. Finally, Ms. Marie Claire Pickaert, EFPIA Deputy Director for 28 consecutive years, highlighted the industry’s key ethical principles, with particular emphasis on transparency and integrity. The conference also featured speakers from EFPIA, BUSINESS EUROPE, SEV (Hellenic Federation of Enterprises), OECD, and its distinguished audience included representatives from IFET (Institute for Pharmaceutical Research and Technology), the Panhellenic Union of Pharmaceutical Industries (PEF), the Athens Bar Association, the Unified Social Security System (EFKA), the Occupational Pension Fund for Pharmaceutical Workers (TEAYFE), the Panhellenic Association of Pharmaceutical Sales Representatives (PIEE), the Association of Health – Research & Biotechnology Industry (SEIV), SEIK, the Competition Commission, the Greek Ombudsman, the Data Protection Authority, the National and Kapodistrian University of Athens, the Hellenic Association of CROs (HACRO), the Market Research and Public Opinion Association (SEDEA), the Attica Pharmacists Association, as well as representatives from all the major law and audit firms in Athens, private hospitals and clinics and many other interested parties. Last, but not least, SFEE is grateful to SEV, BUSINESS EUROPE, OECD, and Mrs. Persa Lambropoulou, Avgi Oikonomidou, Sofia Angelou and Marie-Claire Pickaert.